Royal room is decorated in romantic-chateau style. 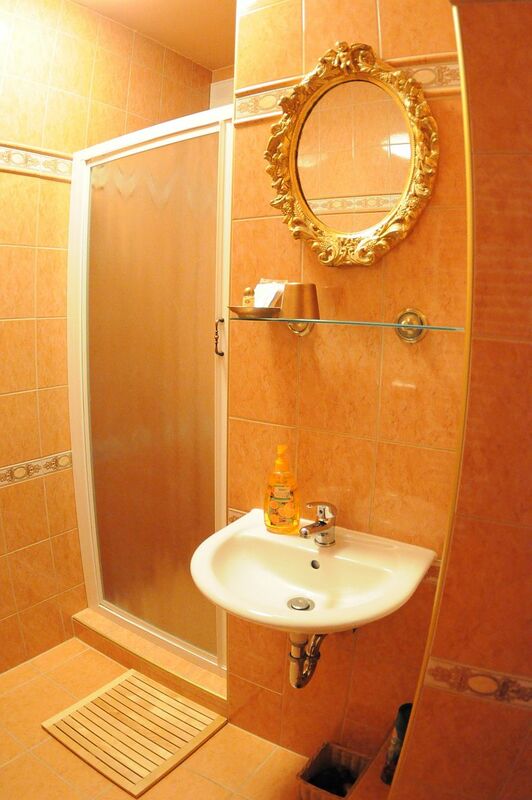 The room offers king size bed for comfortable relaxation, gold decorations and floral design. LCD TV, Wi-Fi. 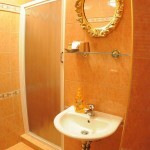 Bathroom is equipped with shower bath, toilet, hair dryer, bathrobe and cosmetics.